HAMILTON TWP., N.J. (WPVI) -- A Trenton, New Jersey man is in police custody, accused of one-man crime spree on Saturday night. Cedrick Hodges, 34, was charged following the series of incidents on Saturday night. 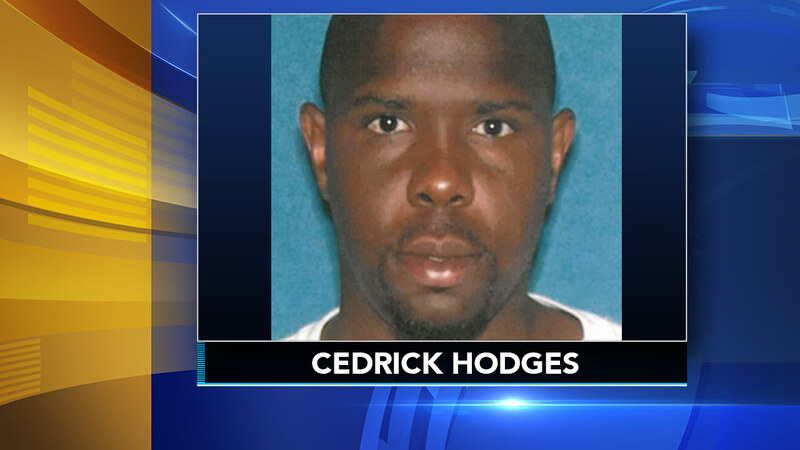 It all began when Hodges allegedly carjacked a woman around 9:20 p.m. in the 2300 block of South Broad Street in Hamilton Township. The woman called her husband for help, and when he arrived police say Hodges fired a sawed-off shotgun at the couple. Both victims escaped without injury. While officers were looking for a suspect, they saw two men struggling in the 200 block of Lafayette Avenue, and one man matched the description of the suspect. That man was also carrying a sawed-off shotgun, police say. The suspect fled and officers found that the other man, a 67-year-old, had a gunshot wound to his harm. A short time later, police found a sawed-off shotgun in an alley. Hodges was arrested at the corner of Genesee and Lily streets. In addition to that victim, Hodges is also the suspect in the shooting of a 25-year-old resident, who was shot in the arm and chest. Hodges is charged with attempted murder, carjacking, aggravated assault and weapons offenses.